Are you ready for this? 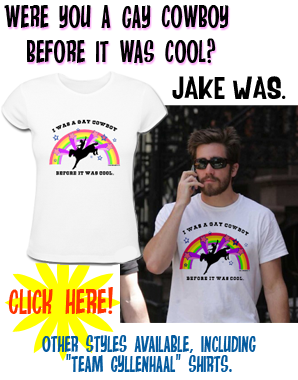 I hope so, because here are the last 24 hours of Jake Gyllenhaal's life. I am the best Jake reporter on Earth. Fact. And this is one of your funniest posts FACT! The past 24+ hours of ISJ have reminded me of the JW days. Thanks for the live blogs and entertainment...you seriously deserve a position in his PR team, cause yet again you have rocked the promotional blogging! Plus...check out the baby blues in that first picture...yummy! ^^^^ I totally agree, Clarabel! That was me in my devil-eyed cherub mask! Eeek...finally it's up! And I'm seriously excited for you, will do my best to describe and share the excitement, but if someone wants to run me through how to do a screen capture (I use a mac) then I'll definitely give it my best shot to get it up for you all to see. It is available on ITV player for the rest of the week for UK residents, although a friend of mine in Oz somehow watches BBC and ITV player by subscribing to a UK based IP address. Don't ask me how you do this, 'cause as you may have figured out I'm not very technically minded! James King introduces the film, introducing it as the second film from Duncan Jones and gushes a little about Moon, complaining that this film is designed to be appealing to a much bigger audience, so has lost some of the zanyness, but is still worth a watch. Cut to scene from the film where Jake is seeing himself as someone else in the mirror and denying knowledge of the MM just as the train blows up. Up pops a box with a fact about Duncan Jones, which I've forgotten, 'cause as soon as I realised that it wasn't about ISJ I began to panic a little that they wouldn't mention you, as all the other features only had one pop up box!! 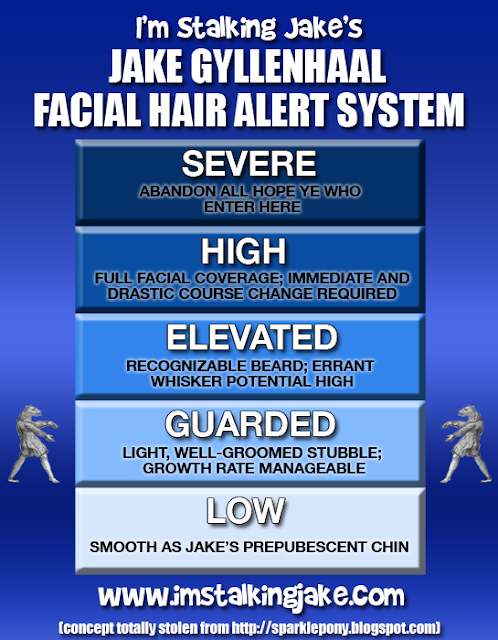 Back to James King, waxing lyrical about how Jake has been off the boil in recent movies and worried about how he seems to have lost some of his early charm. That this needs to be a hit for him. 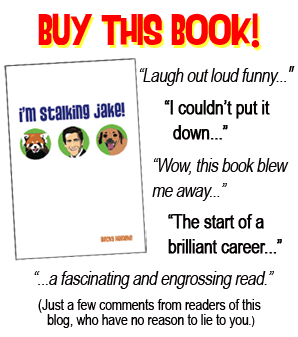 Diehard fans of Jake refer to themselves a Gyllenhaalics and regularly visit imstalkingjake.com. We're pretty much on there every day!" If you have a Mac, then I can totally help you on the screencap. Hit command+shift+4 and a little target-looking thingy will pop up. You can hold down the mouse and drag it anywhere on your screen you want to create a picture; it'll snap the image as soon as you let up on the mouse. I totally LOVE that they said the Gyllenhaalics follow ISJ!!! Cool beans. I want to be able to see that popup. Hopefully somebody from the UK can get a screencap for us eventually. Congrats for achieving that PG!